Never negotiate meeting times again. You know when somebody wants to meet up with you, and you end up spending so much time going back and forth trying to agree a time and date that you end up hating that person, and cancel the meeting? Maybe you just lost a multi-million dollar contract for your company, and it’s all the fault of scheduling annoyances1. WhenWorks fixes that by letting folks book time with you online, using a form that is connected to the calendar on your iPhone. My schedule consists of a twelve-monthly reminder to buy my family Christmas gifts, and I barely remember to do that. For me, WhenWorks is overkill. But for busy people with annoying jobs, it looks great. 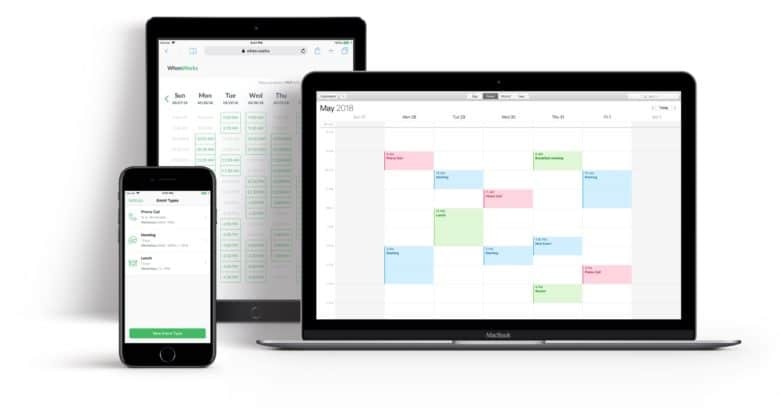 WhenWorks supports all of the leading calendar services (iCloud, Google Calendar, Office 365 and Outlook.com) but is particularly well-suited for those who use iCloud, due to its deep integration with the built-in Calendar on iOS. Then, when somebody makes a demand on your time, you send them a link. This takes them to a page that shows all your available time slots. they pick one, and the event is added to your calendar. The service is currently limited to meetings between you and one other person, which is a shame because group meetings are the hardest to schedule manually. There are two plans, Free and Pro. They are identical, except that the free version only lets you schedule five appointments each month, whereas the $5 Pro plan gives unlimited use. The company behind WhenWorks was founded by John Chaffee, the man behind BusyCal, so this looks pretty legit. Do be aware, however, that you are publishing your available time slots online. That may or may not be important to you.